Fifth Inversion teams up for the second year in a row with the BJ Block Trio to create a unique jazz/classical fusion sound. 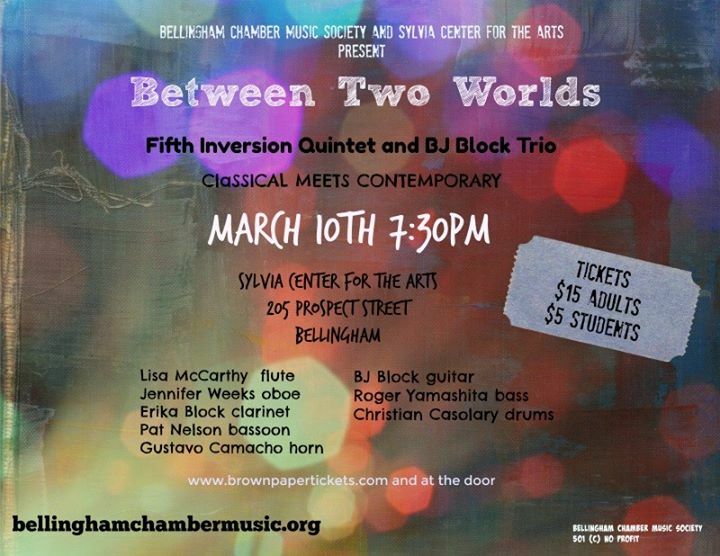 Part of the Bellingham Chamber Music Society concert series. Purchase at www.brownpapertickets.com or at the door.